Day Fourteen! We’re almost there! We can see the finish line in sight! And we truly hope you guys are enjoying these recipes just as much as we’re making and sharing them with you. Today’s recipe is essentially a savory poptart, and you know how much we like our poptarts here. 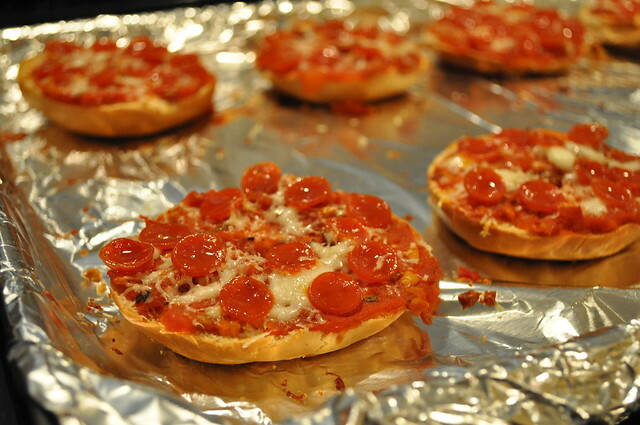 But what is more quentisentially stoner than a pizza pocket or a hot pocket? Nothing. 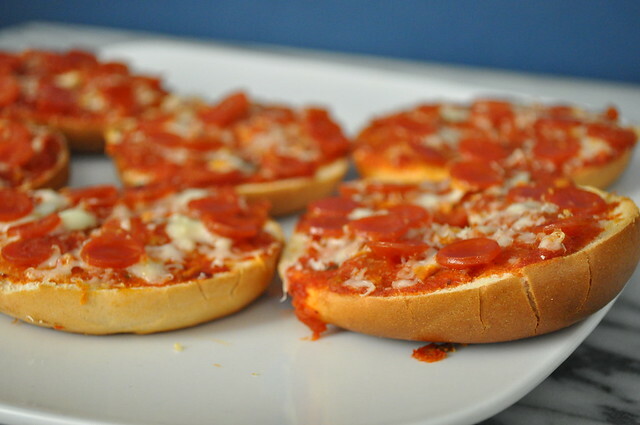 While these may not be “microwave” ready easy, these are quick, delicious, and semi-homemade. Now, if you don’t like sausage, don’t add sausage. 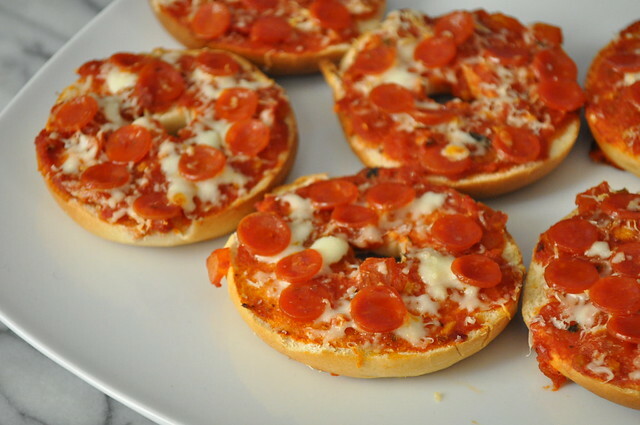 Don’t like pepperoni? Add more sausage. You get the idea. Easy, yummy, and portable. How easy was that? We think Ina, might possibly approve of these delicious pockets of yum. 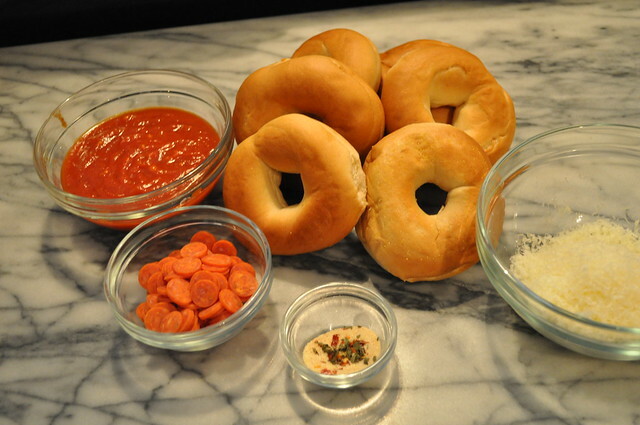 But while we do love occasionally binging on Bagel Bites, we wanted to try and make them ourselves. And the results? They were magical. Instead of mindlessly eating, these actually filled us up and kept us deliciously satiated like a good meal should. 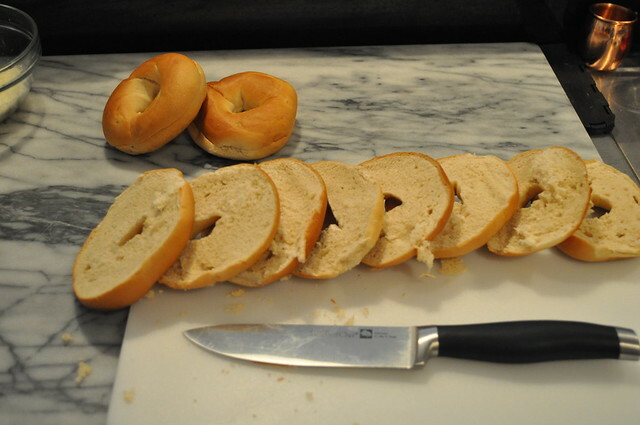 And sure, Bagel Bites are super easy to make: open package, place on tray, cook, enjoy. 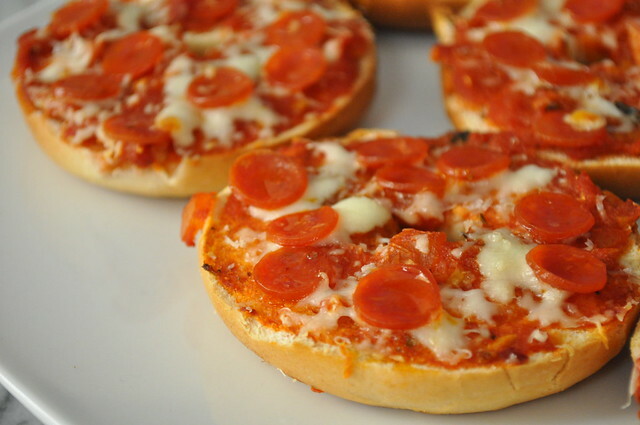 But did you know that in the time it takes for Bagel Bites to warm in the oven, you could make your own homemade and mouthwatering bites? Yeah. If you’re skeptical, give these little guys a try. We promise, it’s worth the effort. In a small bowl, mix together onion powder, garlic powder, red peppers, and salt. 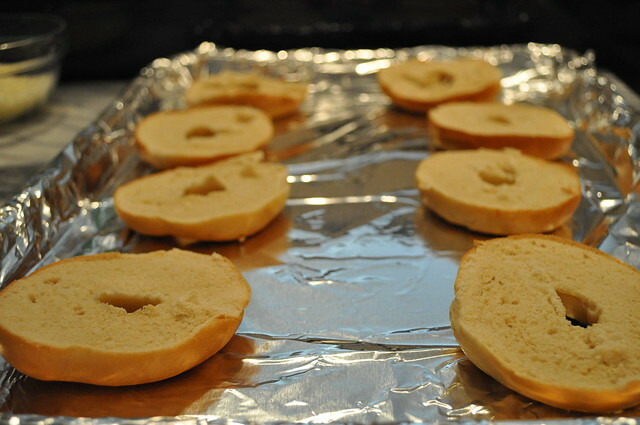 Cut and halve your mini bagels, and place them on foil lined cooking tray. 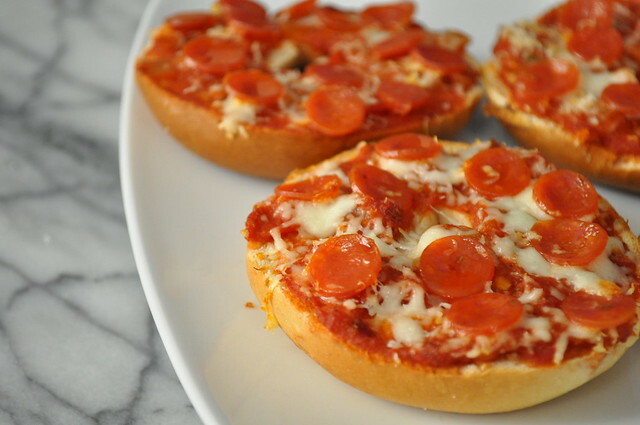 Place in the oven and toast for about 5 minutes. 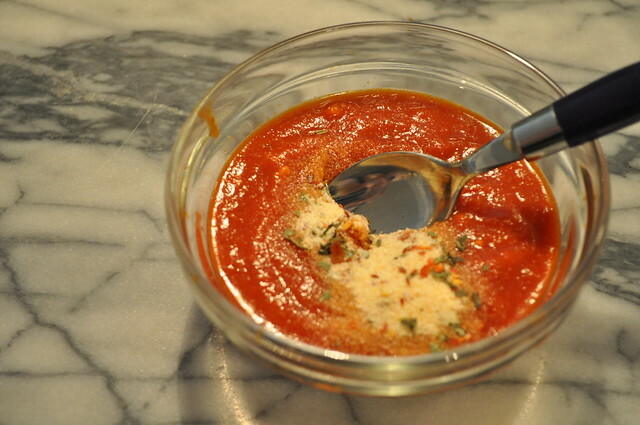 While the bites are toasting, mix your season mixture and your pizza sauce. This step is really just to up the flavor, if your sauce is already flavorful, feel free to skip this step. 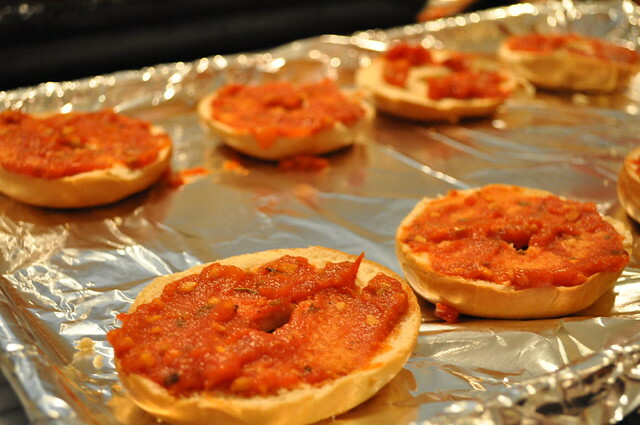 When the bites are finished toasting, remove them from the oven. 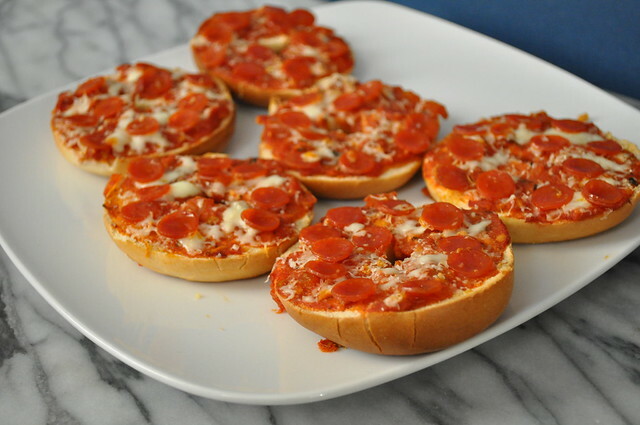 Very carefully, begin to assemble each bagel bite, first covering the bagel with sauce, then cheese, and finally the pepperoni. 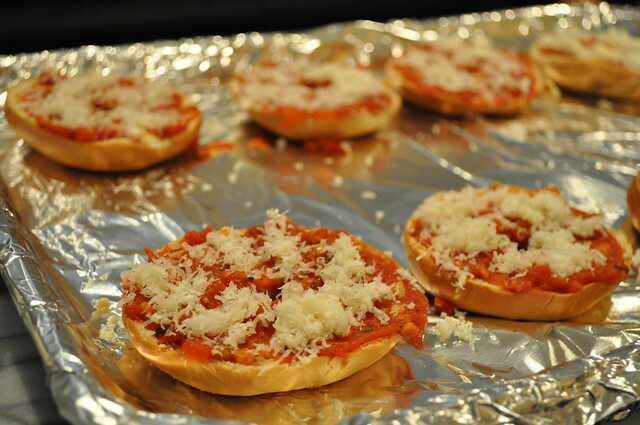 Place the bites back into the oven for 7-10 minutes or until the cheese has melted. Remove from the oven and serve to the hungry masses! But remember to be careful! Hot cheese hurts!